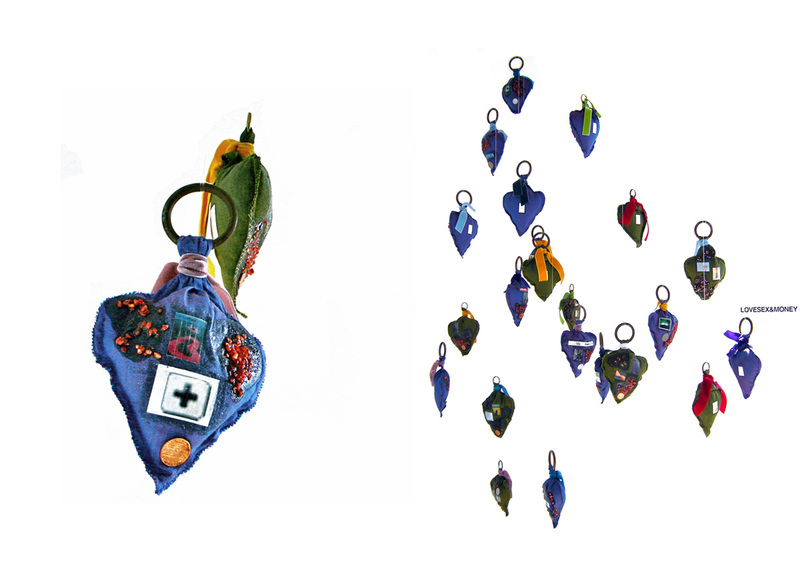 material: Indian fabric, Curtain ring, Velvet, Lavender, Incense, Pictures, Words, Coin/Stoffa indiana, Anelli portatende, Velluto, Lavanda, Incenso, Immagini, Parole, Monete. 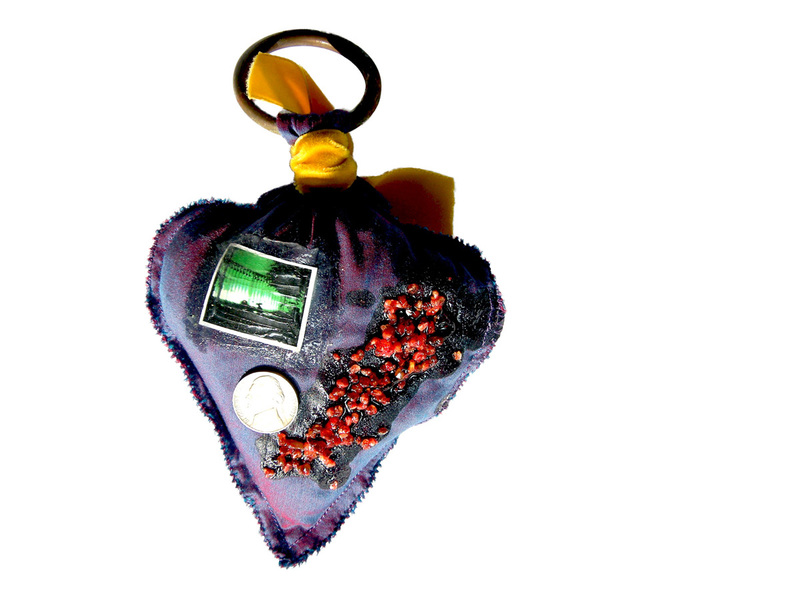 LS&M – LoveSex&Money -A numbered series of lucky charms for which I have used ancient curtains rings as well as incense, coins, photographs, lavander, fabric of Indian trousers and words. This lucky charms take cues from ex-voto, sacred ancient Italians who were brought into church as a thanksgiving for favors received.